My paintings are representational with an expressive brushstroke. 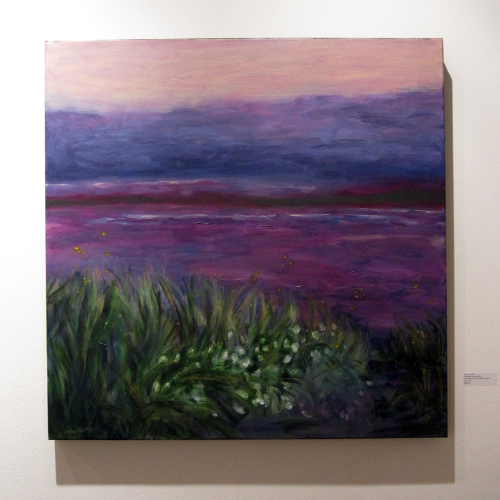 In this painting titled, “Amethyst Evening “, the horizontal layers of colour help to create a calm magical setting. My paintings include these important elements: mood, a sense of mystery, a heightened feeling of stillness and space. I aim to create dramatic paintings that evoke thought and discussion. Sharing my art with others motivates me to continue my artistic adventures.